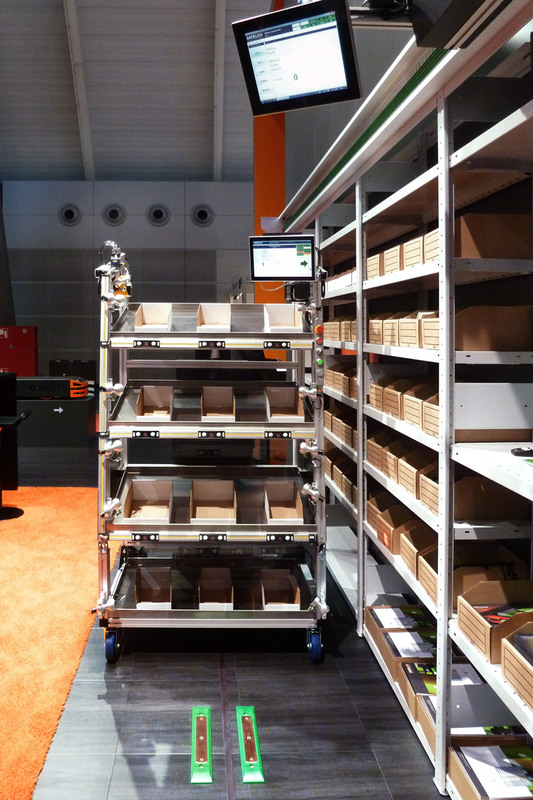 Without installations on the rack we create maximum efficiency and the best possible process reliability. With maximum scalability and flexibility. We entered the future of error-free multi-order-picking a long time ago. 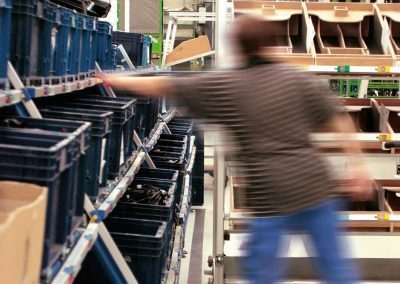 We possess excellent expertise in the technical implementation of individual logistics processes. Our highly flexible and modular technology makes the difference. 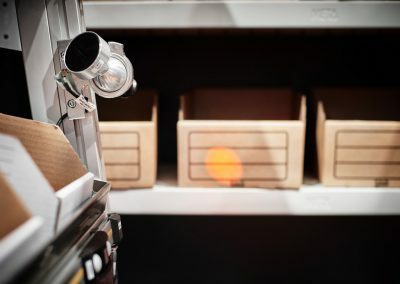 Patented developments enable completely sensor-monitored pick-by-light/put-to-light-systems, without the need for electrical or mechanical installations on your racks or for large load carriers. But we can supply those too of course. We simply choose the best solution for you from all those available. 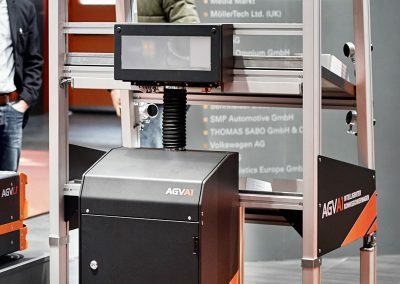 Optical and magnetic tracking, patented access monitoring, beamer technology – these are just some of the features of our self-positioning commissioning trolleys. 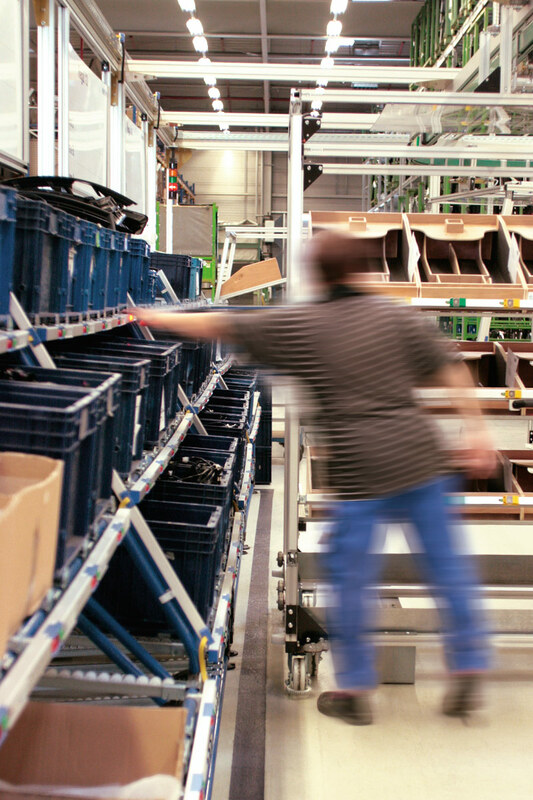 E-kanban-features and intelligent route control optimise your material flow in terms of software. 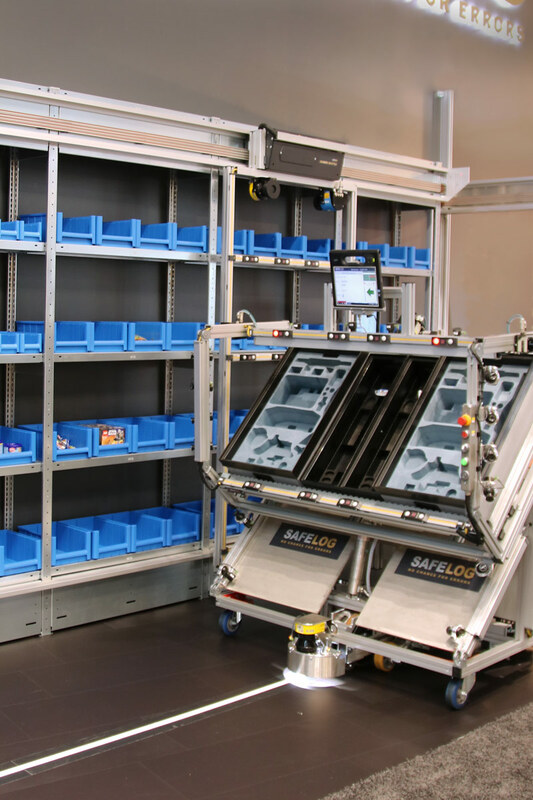 When people see a logistical solution with our intelligent commissioning trolley for the first time they are usually impressed with the aesthetics of the process. 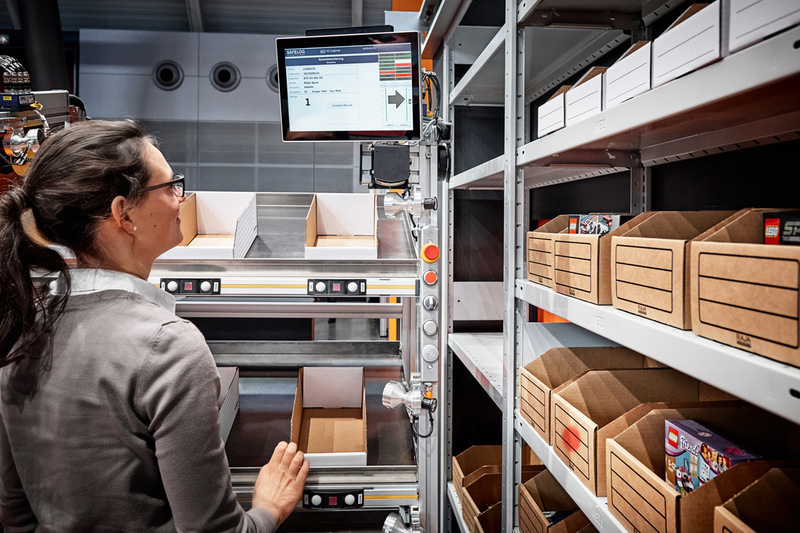 Your employee walks along the racks, quickly and reliably reaches for the articles and works on numerous orders at the same time – precision par excellence. Although it looks so good, the most important thing is the many advantages it provides. 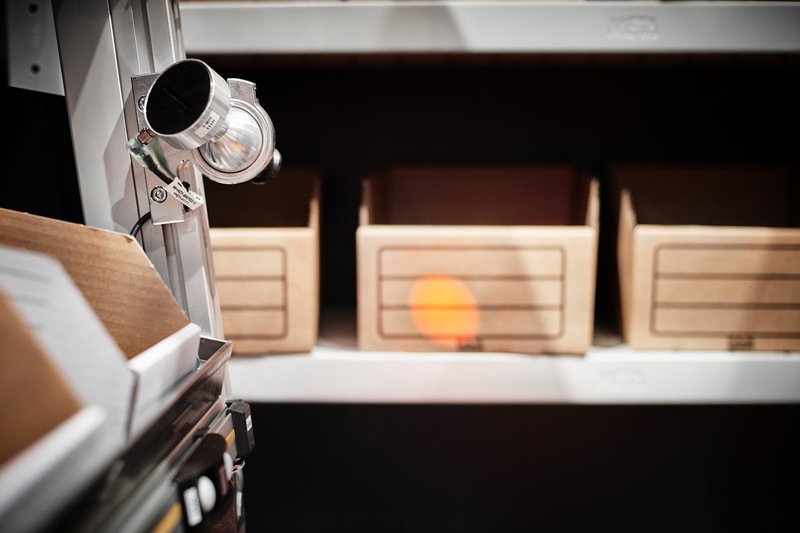 The process solutions reduce proportional travel times through consistent multi-order-picking and avoid processes such as manual confirmation. Nevertheless, commissioning errors are reliably prevented. Our strict orientation to the philosophy of poke yoke is relevant here. 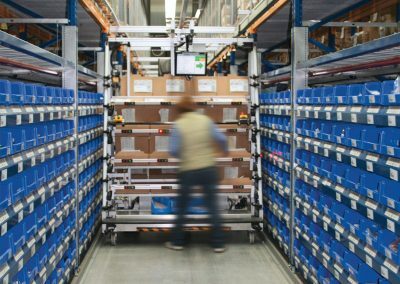 To further optimise utilisation of the technology, we follow the inner trolley /outer trolley principle. 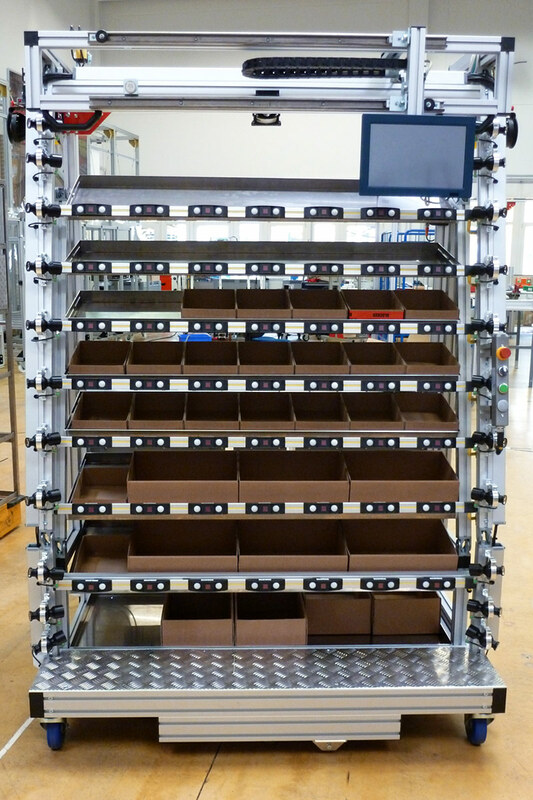 An inner trolley is set up with orders and pushed into the outer trolley for commissioning. 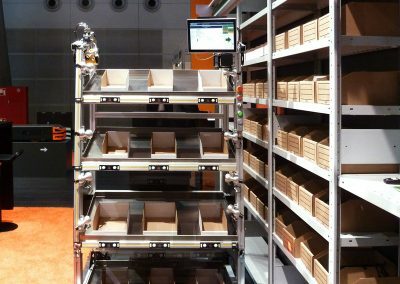 After processing the order for a commissioning process, the ‘intelligent outer trolley remains in the commissioning zone and can immediately be used again for commissioning with another inner trolley with new orders. 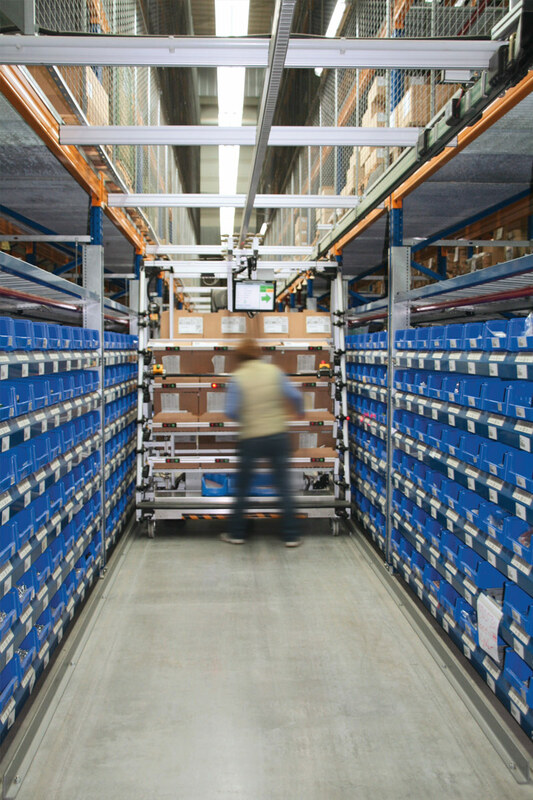 The inner trolleys as load carriers shuttle between the commissioning zone and the dispatch/ assembly areas. 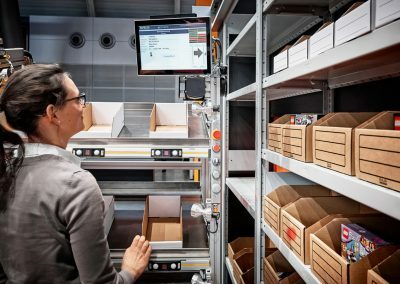 In this way we increase your productivity simply and easily, at the same time minimising the need for technical installations and therefore reducing costs. 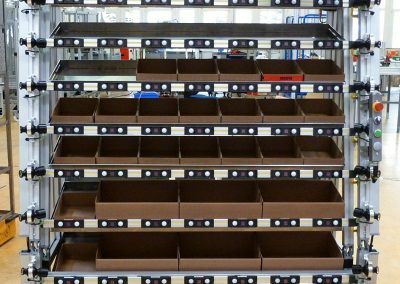 As no installations are required at the rack, the cost effectiveness of our solution increases as the number of pick and put compartments increases. You are also very flexible in terms of changes and extensions to your processes. 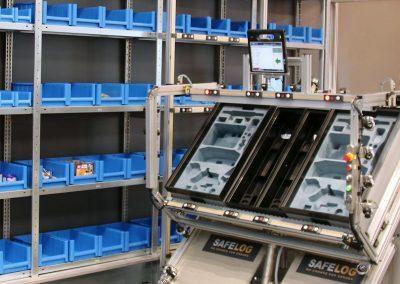 Additional intelligent commissioning trolleys with increased picking performance guarantee the best possible scalability. For who knows today what the market will demand of you tomorrow? Work on more orders at once. Possibly save on personnel and reduce labour costs. 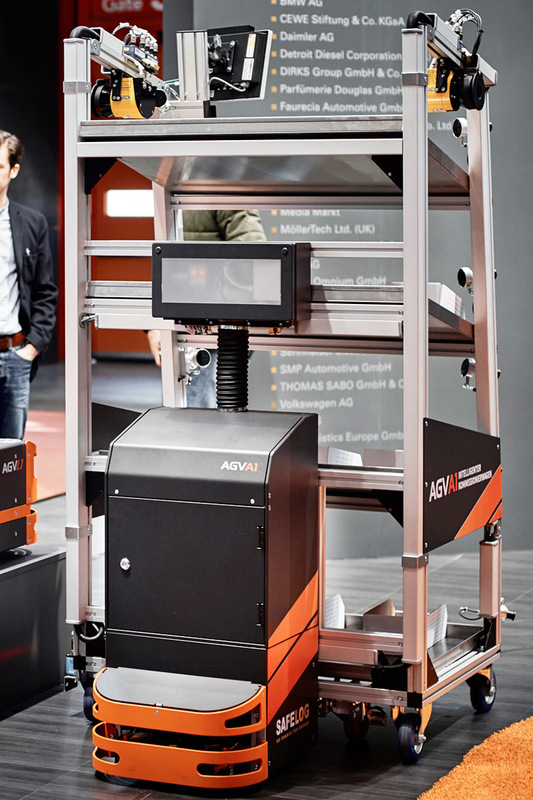 Best possible process reliability /error-free thanks to reliable sensor technology. Fast amortisation in less than 12 months. Increase efficiency / cost effectiveness.